Williams Lake, B.C. – Seemingly no end in sight to this year’s wildfire crisis. This as the Cariboo Regional District expanded a pair of evacuation orders last night. Effective immediately, the CRD has expanded an evacuation order for an area east of Nazko. This order is expanding the Kluskus, Blackwater, Clisbako, and Nazko area order issued on Aug. 2. Due to immediate danger, the RCMP or other groups are expediting the action. The evacuation route is Nazko Road to Quesnel. Residents should register at Emergency Support Services at 500 North Star Road in Quesnel. Those requiring lodging must continue on to the ESS Reception Centre at the Civic Centre in Prince George (808 Canada Games Way). You can view a map of the affected area by clicking here. 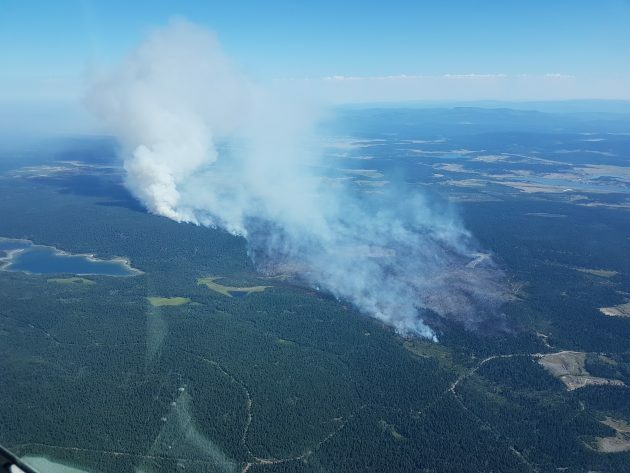 The CRD also expanded an evacuation order for an area north of Kleena Kleane west of Williams Lake. This order replaces the evacuation order issued Aug. 4. Due to immediate danger, members of the RCMP or other groups expedited the action. The evacuation route is Highway 20 to Bella Coola. Residents should register at ESS at 626 Cliffe Street in Bella Coola. If alert, the area should be yellow as per the legend on the map. If red, it should be labelled as an order. I believe it should actually show as an order.